In the days after the 9-11 transgression there was a spontaneous social/media event. 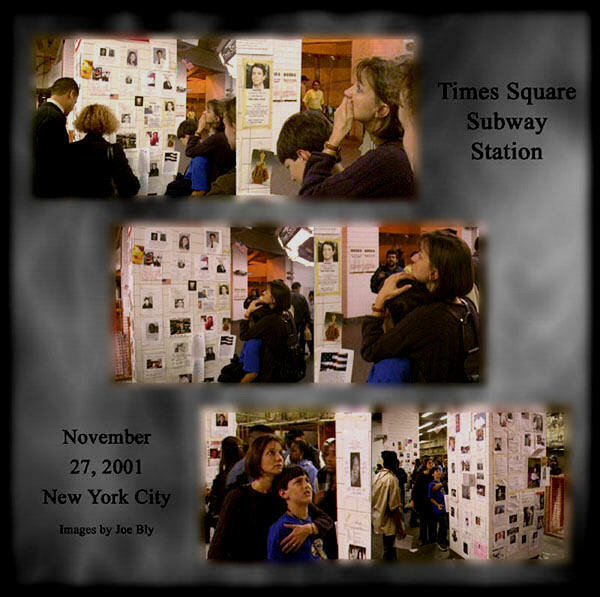 In various locations around New York city, pictures and memorabilia of the victims were displayed. As I was traveling through the Times Square subway station, I took out my camera and caught a moment when a girl recognized an image of someone she apparently knew. To me this said more about the tragedy than any pile of rubble could. When I first created this page in 2001, it was never intended as a political page but HERE GOES! All Americans should stand tall.